You can always count on a Kardashian to get folks talking on the red carpet. Kim Kardashian (West) show stopped sporting a Balmain mini-dress at the MTV VMAs on Sunday. As usual, she wasn’t too shy to show off a little skin. The reality-TV star’s magical carpet-esque cape dress highlighted some of her favorite body parts, and she seemed intent on not letting them go unnoticed. We’re not mad at you KKW. To see more Red Carpet photos from the 2014 MTV Video Music Awards, click here. For her third trip down the aisle (yes….third), Kim Kardashian will be a traditional June bride when she marries Kanye West in France. The entire “fairytale” event WILL be filmed for Keeping Up with the Kardashians, a multi-million dollar affair where most of the costs will be covered by the producers behind their hit E! series. “Kim has always wanted to be a June bride and she is finally going to get her wish,” a source close to the couple revealed to Radar. The lovebirds won’t have to worry about security, intrusive photographers or guests with cell phones, explained the source, because the producers will handle the logistics. 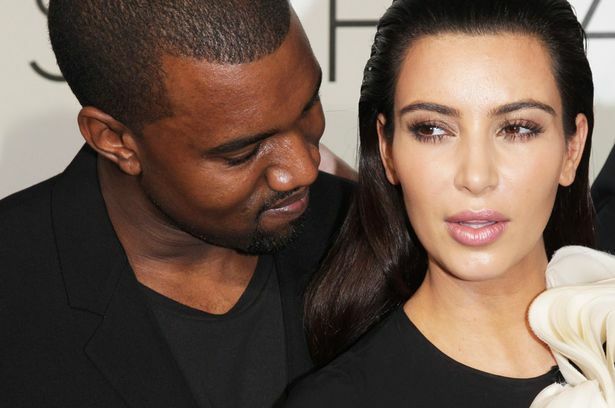 “Even though Kim’s marriage to Kris (Humphries) was a disaster, she was very happy with how the wedding and reception turned out,” said the insider. It won’t be at the Palace of Versailles, which denied Kimye’s request to have their wedding at Marie Antoinette’s former digs. Said our source: “Kim and Kanye really wanted to get married at Versailles and were both hoping to persuade officials during their visit there… ultimately it backfired. It was still a firm no. Kanye West has been all over the airwaves lately. With each stop on hisYeezus Tour, West has stopped by local radio giving in-depth and passionate interviews about his music and hunger to do more in the fashion world. He touched on all of those things — and more — during his interview with MTV News’ Sway Calloway on Tuesday (November 26). But things got a lot more heated. The “Sway in the Morning” interview, broadcast live on SiriusXM’s Shade 45, started off with ‘Ye talking about his creative aspirations in both music and fashion. 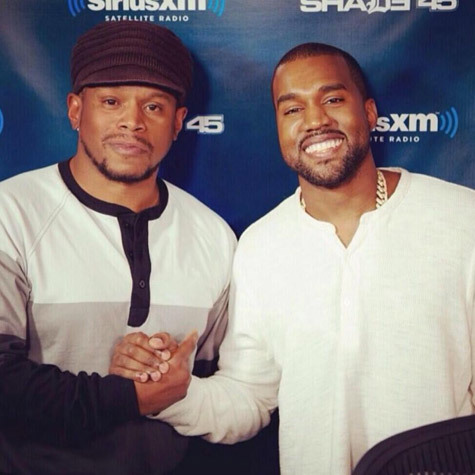 But after Sway asked about Yeezy’s need for corporate support, things took a sudden turn. “Why don’t you empower yourself and don’t need them and do it yourself?” Sway asked. Tell us how you really feel Kanye! Before you go back to the “N*ggas in Paris” work on your freestyle skills. We are sure Pusha T would lend you a helping hand. [via UsWeekly] Over two months after her early birth Kim Kardashian and Kanye West’s little girl made her debut on grandmother Kris Jenner’s talk show on Friday. Rapper West, 36, sat down with Jenner, 56, to chat about his enduring romance with Kardashian, 32, and fatherhood — sharing a snapshot of his little girl. “[Kim is] my joy. She brought my new joy into the world,” he added. 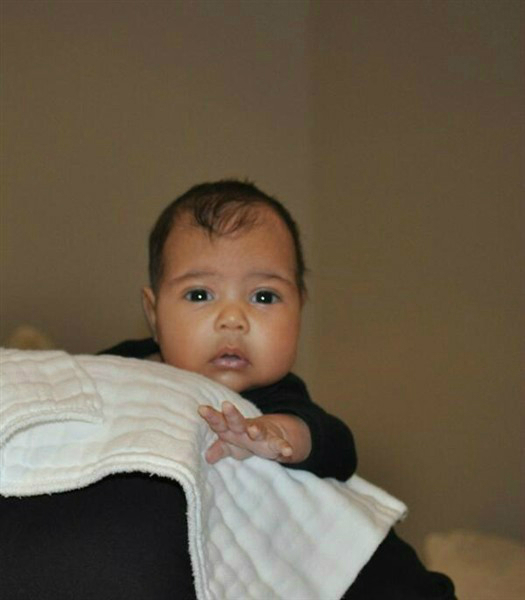 Sounds like Kanye is IN LOVE, and the baby is adorable! Congrats Kimye!